Do you engage your consumer with interactive marketing? Do you use gamification methods to increase your social media ROI? Your customers want shareable content, fun challenges, and rewards for interacting. By successfully using participatory posts and gamification methods, your business marketing will be rewarded too. Here are 5 social media marketing tactics to keep your customers engaged and sharing your brand on Facebook. How does Intel use trivia to get over 100k interactions - per Facebook post? A simple way to to get people participating with your brand on Facebook is the “This vs. That” type post. Essentially, you set up a post to engage your Fans by asking for their opinion. Make it easy by asking for a choice between two options. The easier you make it, the more participants you will get. The more participants you get, the more your posts will show up in your Fans’ news feeds to their friends - spreading your brand. M&M’s set up a simple “This vs. That” post by asking Fans to comment on which M&M recipe they would like to see being made on an upcoming national TV event. The recipe with the most comments will win. This one Facebook update has already had nearly 1,000 comments, over 5,000 Facebook likes, and 575 shares. I’ve seen a lot of Facebook Pages use this type of participatory post with a “Like vs. Share” type choice ( Walmartis king of these). The concept is the same as a comment choice, but a “Like vs. Share” is even easier. One of my favourites from Walmart was a “Like vs Share” post last Christmas. They asked what type of tree people preferred - real or fake. This connected emotionally with their market, and created a bit of a feud for Likes and Shares. In a ‘Like vs. Share’ post, participants can immediately see which choice is winning - by the Like and Share counts. If they become passionate about their choice, they will tell their friends to vote too, to make sure their opinion wins. You win, too, by getting brand views and participation. Get people participating with your brand, by asking for their opinion. Set up simple two choice posts to increase engagement and spread your brand. Make your choices brand related, emotionally engaging, and even controversial to get the greatest participation rates. Another fun and simple way to get your Fans interested in your site, and participating with your brand is to post trivia questions. Questions in general welcome participation, don’t they? Trivia tidbits and questions can take your queries a step further. They can deepen your connection with your market by giving your Fans a better understanding of your company and products. You can make your customers feel clever by giving them exclusive, little known facts that they can then share with their friends. They can be fun too. Trivia questions can range from pretty easy answers, with a fun CTA, to more complex questions. The key is to keep your trivia engaging and unique to your brand to connect with your market. The Facebook Page of Intel frequently uses trivia questions to participate with their very engaged Fans. They cleverly use fun, yet very challenging questions to connect with their computer fanatic demographics. Interesting trivia questions can challenge your Fans, and make them want to participate with you. 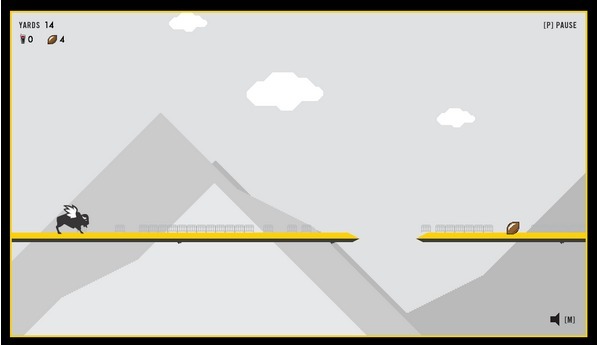 Keep your trivia facts both related to your brand, and relevant to your consumer. Have fun with your trivial pursuits as you educate your market about your brand and products. Facebook poll posts are also both popular and simple for your Fans to participate. They’re kind of like the “This or That” post, in that poll updates give your Fans a chance to voice their views. You generally give your Fans a number of options from which to choose. Polls can have a high participation rate, because they’re easy. Fans generally select one option from your list to engage with you. They’re really easy to set up, too. You can simply ask a question, and list out 4 or 5 options. For the best marketing results, make your poll questions timely and related to your brand and products. Targetuses this tactic on their Facebook Page. This poll question was asked on the first week back to school in September. It’s relevant to their back to school shoppers, and it’s fun, too. This post has gotten over 12,000 comments, likes and shares. You could also use a vote contest for a poll type question too. With a vote contest, you can make the update more visual, by showing images of the choices. ( Photos on Facebookreceive a 104% more engagement than non-visual posts.) You could include your own products as the images, to increase your marketing efforts. Polls and votes contests are very useful to get a glimpse into the choices of your consumers, too. You can use them as a way to get basic market research for your business and marketing. Get participation on Facebook my making simple poll questions. Make your poll questions timely. Use visuals, too, by turning your polls into vote contests. Visuals increase your engagement rates. Take your participation level up a notch. Ask your Fans to share their stories about your product, or a demographic related topic. Storytelling has long been a part of our social culture. Sharing stories can create a community, or social hub. Bring it into your marketing on Facebook, and you can really generate more brand loyalty and influence future purchasing choices. Now, actually getting people to sit down and write a great story about how your particular product has had a positive impact on their lives is a big ask. To create successful community of story sharing, you need to sort of “gamify” it. You need to provide sufficient motivation. A brilliantly successful example of story sharing on Facebook is from Volkswagen. They’ve developed a cultural hub online where passionate VW drivers can gather to “be a part of Volkswagen”. They’ve created a tab on their Facebook page, and make it easy for Fans to add their own VW story, with images. They even include the option to read the stories by popularity - this motivates the writers to share their short essays with their friends, too. Increase brand loyalty by creating a story hub, or even an essay contest, on your Facebook Page. Make sure you give your Fans motivation to write their own great story, related to your brand. 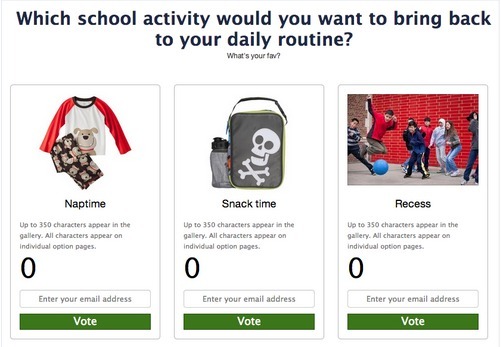 Include a vote, or social sharing popularity rank, to get your brand spread to friends of participants too. Here’s another great way to make your social content stand out. Have a fun, but kinda hard (read addictive!) game on your site. Online video games on your Facebook Page, or website, can be a fun way to generate buzz about your brand, and products. They can go along way to develop customer endearment, and gain eyeballs to your site. Sometimes people could spend hours playing these games (uh, not that I have personal experience with that! ;) ). I first read about an excellent example of an addictive participatory game from the Top Rank blog. Staff writer Katie Bresnahan pointed to the Buffalo Wild Wings as a socially savvy business, using socially sharable games online. The game is fully branded. It’s perfectly suited to a bar atmosphere. It’s just in time for the start of Football season. They make the game easy to share on Facebook. They also make it easy to find a Buffalo Wild Wings location, and to check out their menu from the game page. 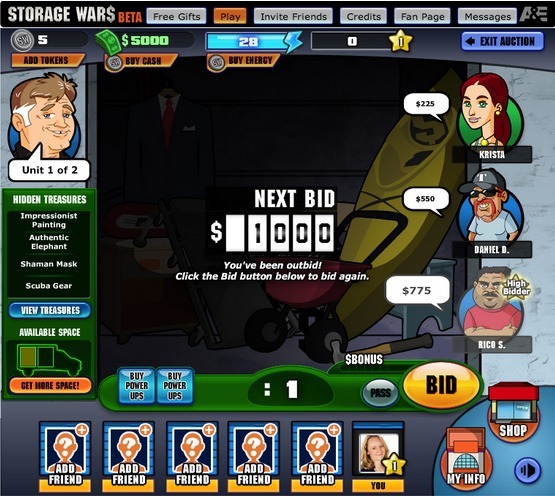 A&E’s Storage Wars has another great example of how to use participatory mini-games on your social sites to engage your consumers, and develop deeper connections. The Storage Wars game is social, in that you can invite your friends to play with you too. The game is based on the TV show - you bid on lockers to try try to buy the ones with the biggest treasures. Fans could spend a lot of time playing the game. They’re also more likely to become avid viewers of the show. Use online participatory mini-games to increase brand loyalty. Make your games easy to share through Facebook. Keep your games related to your brand or products. The way we engage with consumers online is increasingly interactive. Your customers expect it. As a business, you need to include consumer participation on your social sites and marketing campaigns. Make your participation fun, easy and even addictive. What do you think? Have you used mini-games or other participatory tactics on your Facebook Page? What’s worked for your brand? Share your tips and successes!